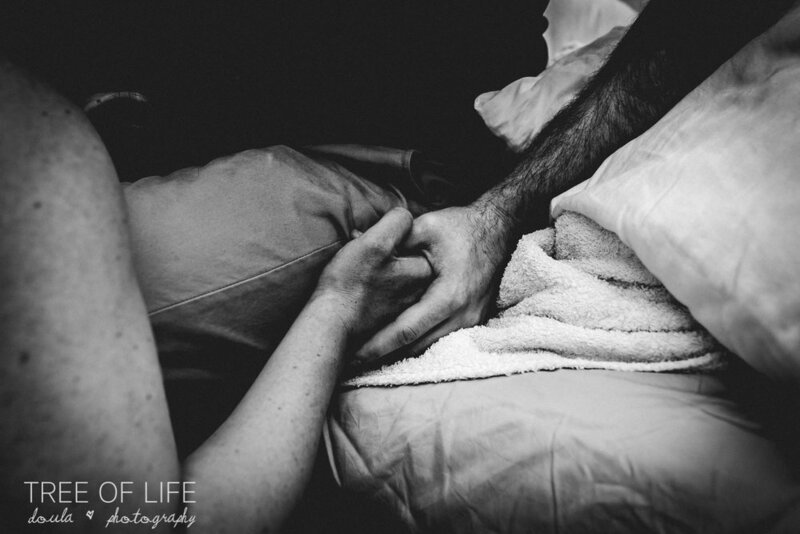 Hannah Palamara is a UK based birth photographer and doula. You can find out more about her at her website, www.treeoflifedoulaphotography.com. I used to want to be a midwife. As a young girl I loved babies and always wanted to hold them and cuddle them. I think I played with dolls until I was about twelve years old. After the birth of my first child a fascination with childbirth was established, not because I had an amazing birth-- I had an extremely traumatic birth that left me scarred inside and out-- but because I knew that birth could be different and that it was possible for me to experience it the way that I wanted to. It wasn't until the birth of my third child, my son, that this became a reality for me. His birth was a life changing homebirth after two previous caesareans and it was that whole journey over the course of 8 years that brought me to becoming a doula and birth photographer. I had to fight for that birth and was so often left feeling like I was crazy for even wanting it and in the end it changed me forever. This is why I now do what I do because all women deserve the chance to have the birth that they have dreamed of. It may not always go to plan but being supported and informed can make a huge difference when it does go off course. Having that birth documented in images or film can be extremely healing and empowering. We never get those moments back; there aren’t any do overs in birth. Working as a doula and a birth photographer can be extremely challenging but it is the most rewarding thing, along with mothering, that I have ever experienced. Not only am I on call for my clients which means I could get a call at any time of day or night (2-3am seems to be a popular time) but as I am also supporting couples as their doula I am working with them prenatally too. Prenatal sessions involve meeting with my clients between 2-4 times during their pregnancy depending on what number baby they are having and also how much support they need from me. Some women have experienced previous traumatic births and are extremely anxious I find these women and their partners often need extra sessions. I really like to work with these couples as I feel like I can really help them. Sometimes it takes a long time before they are ready to open up to me and allow me to work with them and support them, sometimes it's not until the actual birth that they really let me in but even if it's just my quiet presence by their side that they need I give myself to them 100%. I've had clients tell me in our first session that they are terrified of giving birth and that they can't imagine being able to do it without drugs or even with them. 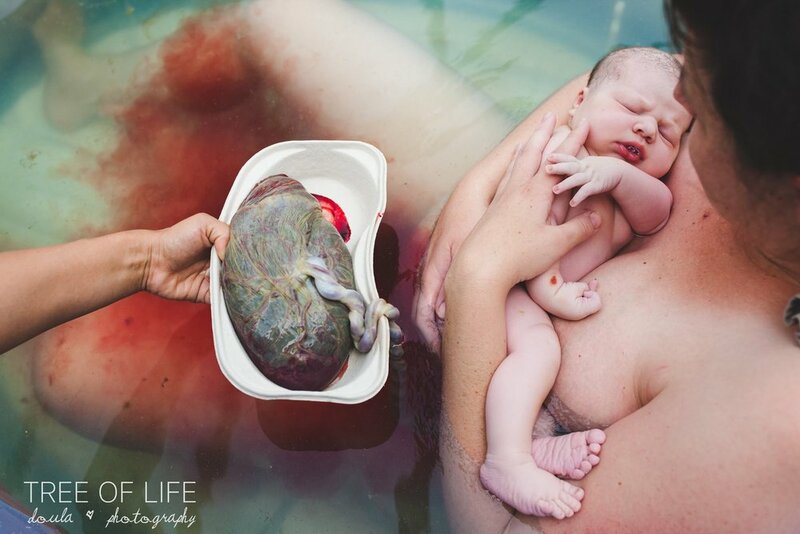 These women have gone on to birth at home, in a pool in the birth center or in hospital and many described it as the most empowering and healing experiences of their lives. One of the biggest factors that I find helpful in working with these women is that they are able to open up to me about their fears and past experiences, in life or birth. This of course takes a lot of courage and strength and not every woman is ready to do it fully. If they can debrief with me whether verbally or by writing their stories down and reading them to me I find there is a lot of healing in these exercises. If the pain and trauma is too great I often refer out to hypnotherapists or other practitioners who work with trauma. I also love to work with first time parents. It is impossible not to feel their excitement and wonder at the life growing within and this brand new journey that they are on. It's also so satisfying to guide them and educate them fully on the physiology of birth and postpartum. I love to see the fear of the unknown turn to wonder in their eyes as they realize that birth can be beautiful and calm and that although yes it can be intense, raw and fierce it's ok as that is exactly how their body and mind need to be to birth their babies! I tell them if I see them letting go and even biting their partner or verbalizing through their surges I get excited for them! It means they are in a primal state which is exactly where they need to be. They often look at me like I'm crazy at this point but I also think subconsciously it gives them that support and quiet permission to let go when they are in labour. Birth is when women are at their most vulnerable, when they have to climb their highest mountain and feeling comfortable with their team can change so many aspects in making it a positive experience. I am so passionate about documenting birth stories. Being able to give a family their whole birth story in images is the greatest gift and being present for those moments is such an honour. I always chat with my clients about how I'll be documenting their birth in images. I like to go over in detail how I work as a photographer in the birth space. This includes chatting about lighting, the use of flash and what they might decide to wear on the day. I work very intuitively just like when I am doula-ing and explain that my aim is to be as invisible as possible and in the background. I'll often pop in and out of the room if they are in need of privacy. I also explain to them that as I will be supporting them as their doula and photographing their birth there might be a moment where I have to choose one role or the other and I give them a choice to choose which they would like me to focus on. Of course sometimes I have to make that decision in the moment where I can see they really need my support but I've never had an occasion where I have not been able to get enough images for the family. I like to draw on my doula knowledge and experience when documenting births. This makes it a lot easier to read the room and see how labour is progressing and when to capture those key moments. It's also extremely useful to know when to step back and give space. Birth can be extremely intense and for new doula/togs it can be overwhelming to see how loud women can be and how much energy can be in the room. Things can change extremely quickly and it's experience that brings those little signs that can mean things may be about to get a little intense. Even with experience there have been long and emotional births where I have retreated to the bathroom to cry or just get some space. There have been births where I have witnessed care that is not appropriate and where women were not given choices. I do my best in those situations to advocate for my clients if that is what we have discussed and then I make sure I debrief that birth as soon as I can afterwards with another birth professional. I have to step back sometimes and realize that this is their journey and it has nothing to do with me. As long as they are informed and happy then that's what is best for them. That lesson took me a long time to learn and it also gave me a huge amount of freedom around the work that I do. As much as we are there to witness and support we cannot take on each woman's own story as our own we have to give ourselves some boundaries or this work will burn us out really quickly. This does not mean that I am not a mama bear for each of my clients, a guardian of the birth space! I often form very close friendships with them. Providing both roles to clients at births is definitely more demanding than doing one or the other and for me I would prefer to only take one or two clients a month whom I am doing both for. If I take any more on I prefer for them to just be photography OR doula as I think it is very easy to get burned out when providing both roles to multiple clients. This is just what I have found in balancing my work life with also having three children of my own. As birth photography is still quite new here in the UK it is a perfect combination to offer photography with doula care together. I have found in the last year as people start to know about my work I am starting to get a lot more enquiries for photography only. I think the biggest challenge for me in providing both roles is to continue documenting when the mother is in need of constant physical support. Sometimes it’s not possible to be taking images at that point and this is something I discuss with my clients in our prenatals so that they understand that they may not get images in that moment. Here are some things I do to make being a doula/tog easier and some tips for newbies! I have invested in a smaller camera. My usual Canon 1dxll is really heavy and it is hard to hold it and also physically support a woman at the same time. My new second camera (Fuji xt2) makes it much easier to do both together if needed. Have both doula kit and camera kit in the same bag OR have a very small doula OR camera bag. Always have your doula bag and camera gear packed and charged when you are on call. I have a checklist written down and pinned to my wall in my bedroom and I check it off whenever I leave for a birth. Have snack packs ready to go. I have ready-made packs of snacks in my bag in case I don’t have time to eat or get food at the birth. Make sure your backup doula/photographers and backup childcare are informed and ready when you go on call. Thank you Hannah for sharing your experience and wisdom with us! If you are interested in learning more in depth about birth photography or doula-ing, check out the links below. We also have a doula toolkit AND a birt photography toolkit bundle. You can check that out here.